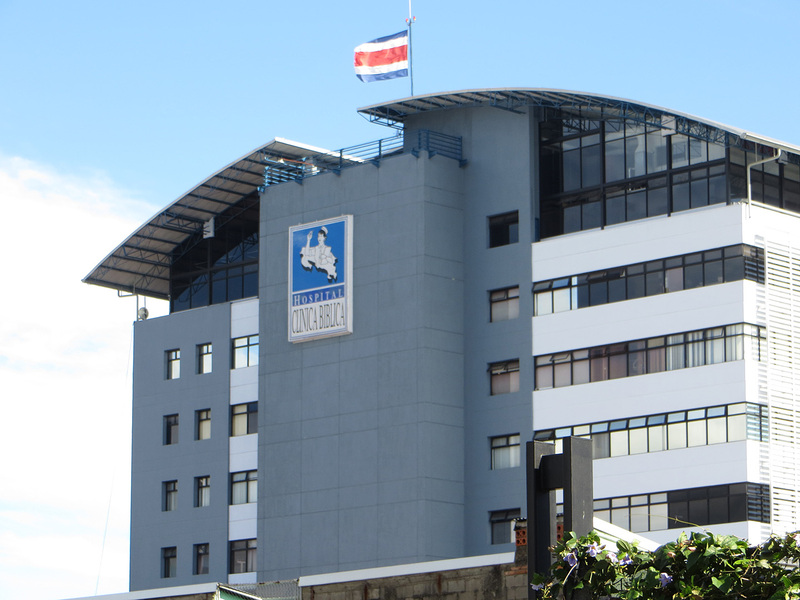 A couple of weeks ago, we made appointments at the private hospital, Clínica Bíblica located in downtown San Jose. Our appointments were scheduled for early morning of Tuesday, August 5th. We decided it would be fun to stay a couple of days in San Jose area to do some shopping and to have lunch with our Spanish teacher, so we made hotel reservations at a quaint hotel called Hotel Louisiana in Santa Ana. 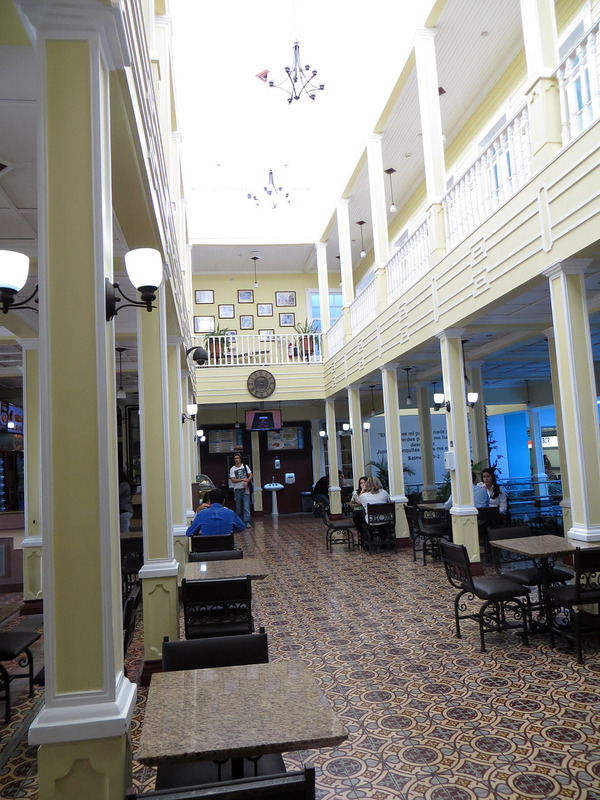 Usually we stay at a wonderful B & B in La Garita, but the Hotel Louisiana in Santa Ana is closer to the hospital and less expensive, too. It came highly recommended to us, so we gave it a try. Shortly after we made our medical appointments and hotel reservations, our residency attorney emailed to let us know that we had our date with immigration. Wouldn’t you know…it’s in early October when we will be in North Carolina! Our attorney assured us that he can put in a request for a new appointment and we are hopeful that it will be at the very end of October or in early November. Before our appointment with immigration, we need to have our fingerprints taken. Our attorney asked us to be at his downtown office early morning on Monday and he would take us to the police station where we would be fingerprinted. This worked out well for us since we were going to be in the area anyway. The only catch was that we couldn’t drive into the downtown area. There is so much traffic in the downtown area that there are driving restrictions. The last digit of the license plate determines the day you can’t drive into the restricted zone and our day is Monday. It’s a $20 cab ride from our hotel to downtown San Jose. So, it would have been a $40 trip! 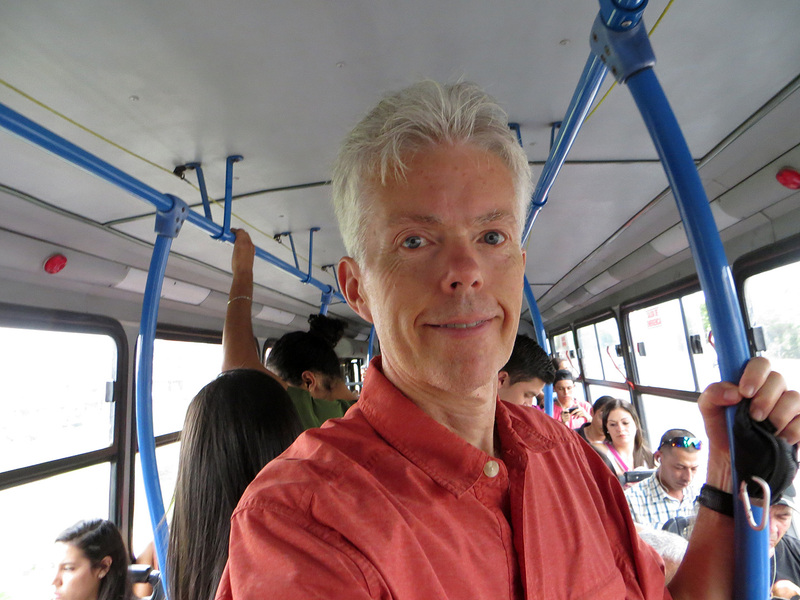 Instead, we decided to take the bus which costs about 75 cents each, so round trip it cost us only $3…a good deal. 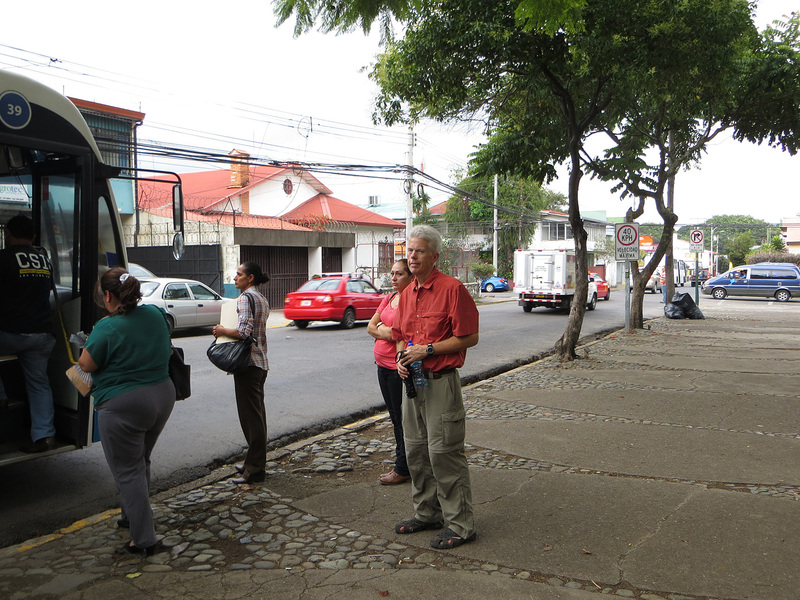 The bus dropped us off at a small park about a block from our attorney’s office. It was a pretty morning, so we didn’t mind the walk. We arrived at our attorney’s office in plenty of time. There was another person already there and our attorney told us he was expecting another couple to arrive any minute. 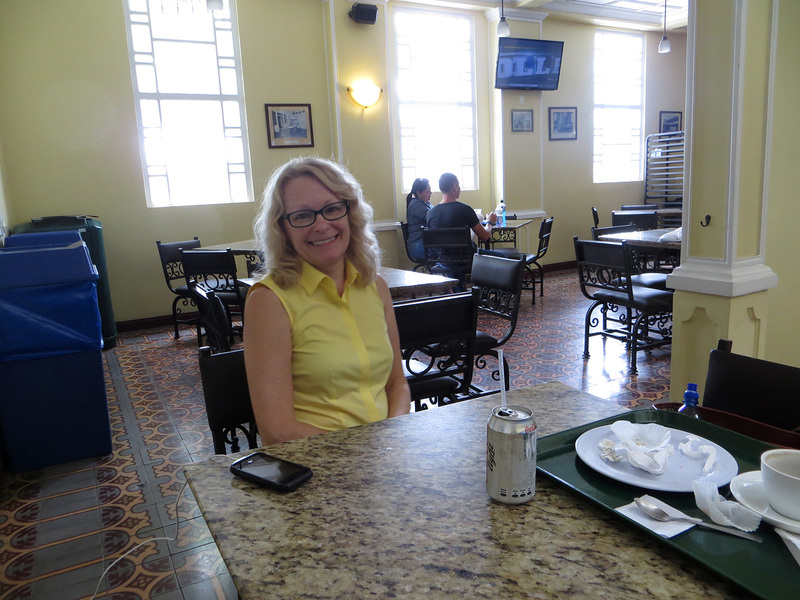 While we were waiting, we chatted with the other person waiting – a delightful lady who recently moved to Costa Rica. During our conversation, we discovered that she has friends who take lessons with our Spanish teacher. It’s a small world! It wasn’t long before the other couple arrived and we were on our way to the police station to get fingerprinted. Even though we arrived fairly early, there was a very long line. 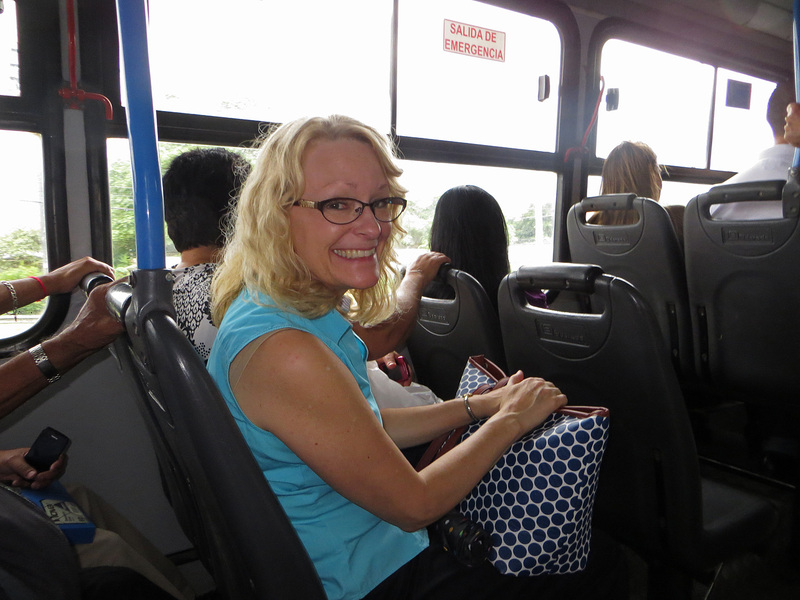 In Costa Rica, it’s a huge perk to be pregnant, disabled or a senior citizen. People who qualify receive very special treatment, such as, moving to the front of the line at banks, government offices and other places. Our new acquaintance just happened to be a senior citizen and she was called up fairly quickly. The entire process for her took around an hour or so. It took us three hours – most of it was waiting and waiting! Once we were called up, the fingerprinting process took about 20 minutes. Before the actual fingerprinting (with black ink), we sat with an officer who put our information into the computer. Just as my officer entered the last key stroke, the power went out! Typical for Costa Rica. Eddie and I had different people, but we still finished up about the same time. The other couple that came for fingerprinting had driven on their own and they gave us a lift back to the attorney’s office. We always seem to meet such nice people! On Tuesday morning, we arrived at the hospital early. Eddie needed to see an ophthalmologist and it was time for my annual mammogram and breast MRI. Since we have an incredibly high deductible with our US health care insurance in order to keep the premiums reasonable, Eddie convinced me to give Clínica Bíblica a try. We were both very impressed with the hospital, staff, technicians and doctors, many of whom speak some English. The equipment was state-of-the-art! The hospital’s marketing coordinator who helped us make the appointments speaks English very well and she met us at the mammography registration desk. When I was called up, she translated my history to the technician so there wasn’t any miscommunication. The radiologist reports will be translated to English for my doctor in the U.S. I’ll also receive copies of all my scans on a CD. Eddie’s appointment with the ophthalmologist went well, too. When Eddie told the ophthalmologist (who spoke perfect English) about the type of machine his NC ophthalmologist uses, this doctor commented that his machine is a much newer model than the one used in NC. Almost forgot to mention that they don’t keep you waiting here. Eddie and I both were called after a five minute wait time. I’m pleased to say that we had a great first experience at Clínica Bíblica! This is the original part of the hospital built in 1930, which is now the cafeteria and offices above. The mammogram cost $40, the MRI $750 and the ophthalmologist check-up was $84, much less than what we paid last year in the States. No wonder why medical tourism is so popular in Costa Rica! We had a heavy rain for most of the day yesterday. 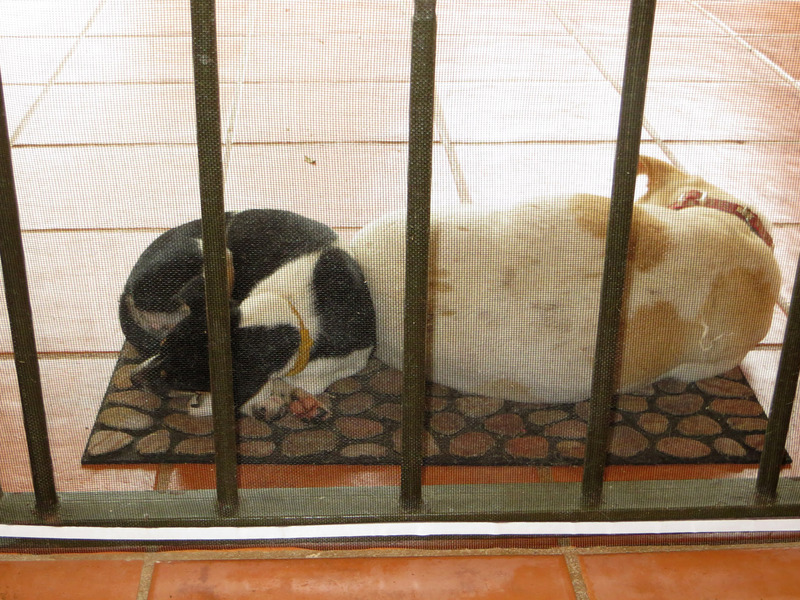 Chiquita and Paloma were curled up trying to keep warm. This entry was posted in Uncategorized and tagged Clínica Bíblica. Bookmark the permalink. Todos las dias es un adventura nueva! Yo quiero las blog mucho. ¡Sí, hay una adventura nueva cada día! Hi Patty, Glad that you enjoy our adventures…we have a lot of fun blogging about them! Another great blog. Glad that your first experience at the hospital was so favorable! Did the doctor find out why the amazing Eddie is amazing as I would like to know. It’s genetic, of course! The doctor was truly amazed. LOL Do you think that you can come visit us for Thanksgiving?